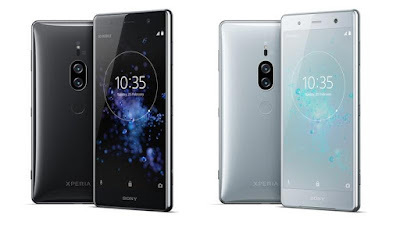 Sony Xperia XZ2 feature a 5.7-inch TRILUMINOS Full HD+ (2160 x 1080) LCD HDR-compliant display with an 18:9 aspect ratio Powered by Qualcomm’s Snapdragon 845 processor with 6GB of RAM and 64GB of storage. The phone takes full advantage of the display’s HDR compliance with Sony’s Advanced X-Reality engine, which up-converts non-HDR downloaded and streaming videos to “HDR quality”. Xperia XZ2 boasts an aluminum frame, 3D Corning Gorilla Glass shielding, curved corners, and a dedicated shutter key, On Camera it has a 19MP Exmor RS sensor with a 1/2.3-inch sensor size, f/2.0 aperture, phase detection and laser autofocus, an LED flash, predictive hybrid autofocus, and 5-axis stabilization. It can capture HDR video in 4K, and 720p and 1080p video at 960 FPS. The front camera has 5MP and a f/2.2 aperture. It supports 3D Creator, Sony’s 3D model-scanning app that lets you record Animoji-like scans of your face.In terms of audio, the Xperia XZ2 has a Hi-Fi audio DAC and improved “S Force” stereo speakers that make it 20 percent louder than its predecessor. The Xperia XZ2 is IP68-rated for dust and water resistance, Packed with a 3.180mAh battery. It features wireless charging, and connectivity options including USB Type-C, Wi-Fi 802.11ac, Miracast, NFC, and Bluetooth 5.0 with Qualcomm’s aptX HD audio codec. Xperia XZ2 ships with Android Oreo with Sony’s Xperia UI skin on top.